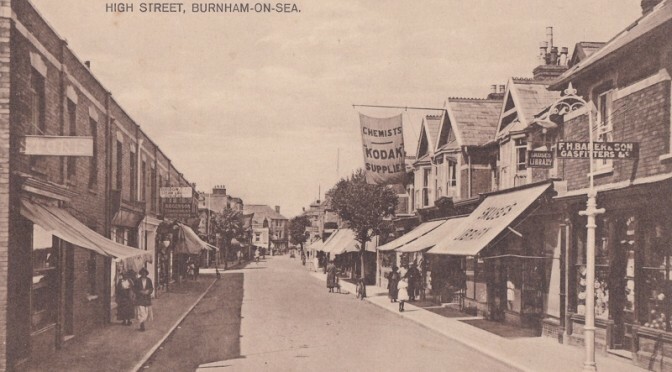 Construction of Alfred St ., projecting southward parallel to the sea front, was begun at around the same time as the cutting of College St. By the mid 1850’s construction had reached what became Cross St., with Lott’s Commercial Hotel (now Berryman’s Estate Agent) being completed in 1853. 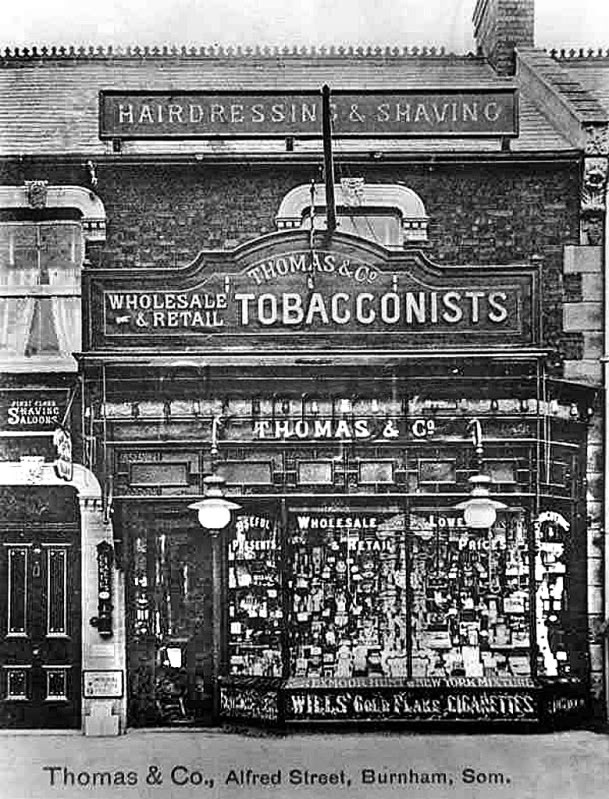 By 1879 Alfred St. had been completed as far as South Terrace and South St. 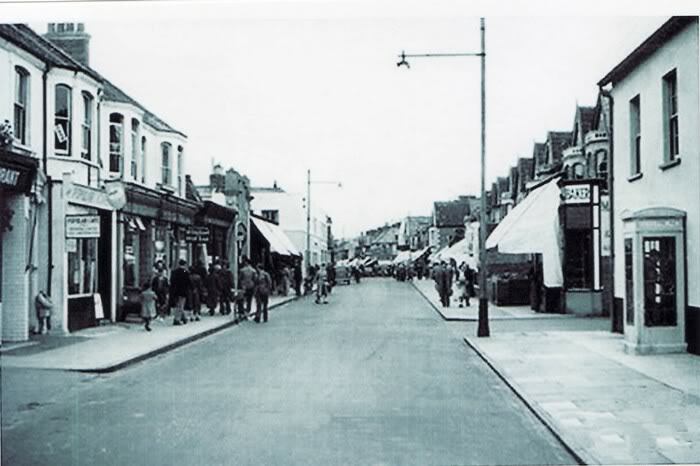 Many of the buildings were originally houses but were later changed to shops. 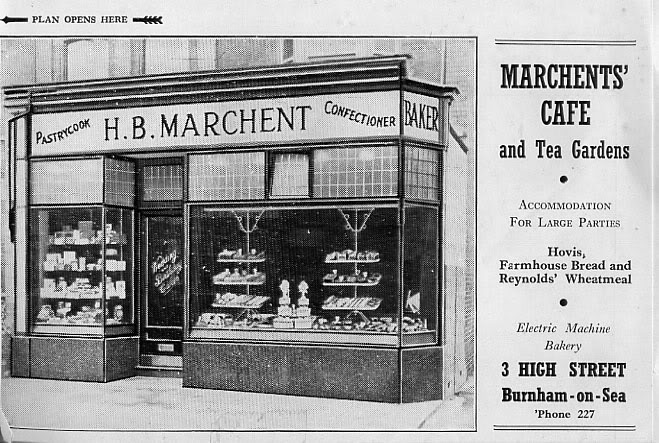 The picture at the top of the page shows the view northward from near the Adam St. junction. At this time the land extending southwards from South Terrace to the railway station and eastwards to Oxford St. was laid out as pleasure gardens, including a maze, but these became smaller over time as Technical St., Jubilee St. and Hudson St. were built on them. Eventually all that was left became a Tea Garden . 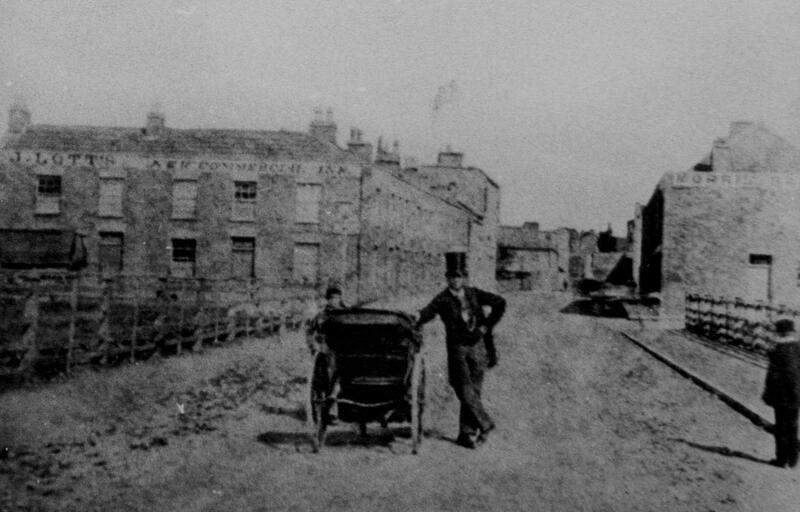 The Southward extension of High St. was essentially finished by the completion of Alexandra Villas, between South Terrace and the Station in 1885. 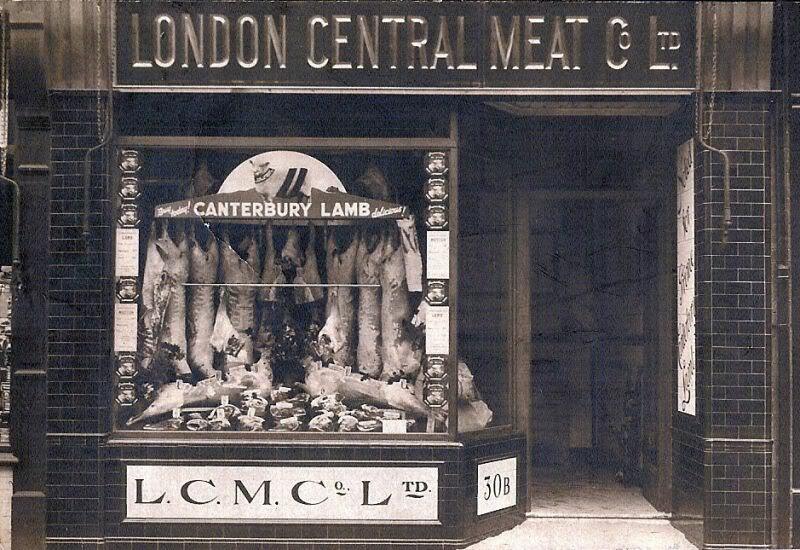 At this time the new street did not extend northwards as far as Regent St but met the narrow passage cutting past the side of the Mason’s Arms from Regent St. This passage was widened to become a proper extension of Alfred St in 1895 when ‘The Lifeboat’ Temperance Hotel was built. 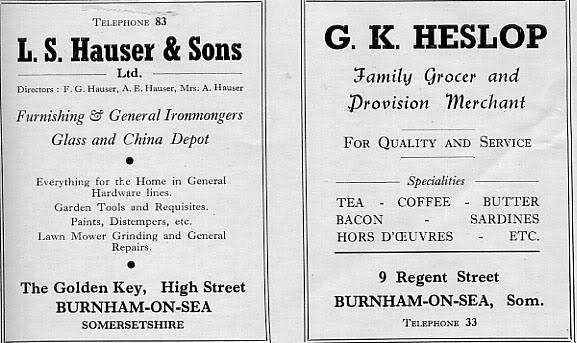 Hausers Hardware store was one of the well known businesses that opened up in this section of the street with a sign of a large golden key suspended outside. 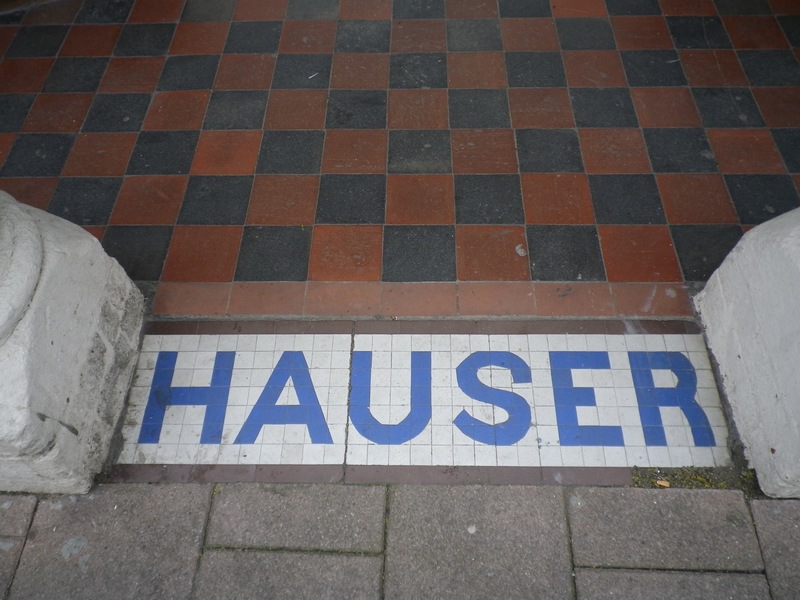 The building remains, as does the name on the entrance tiling. 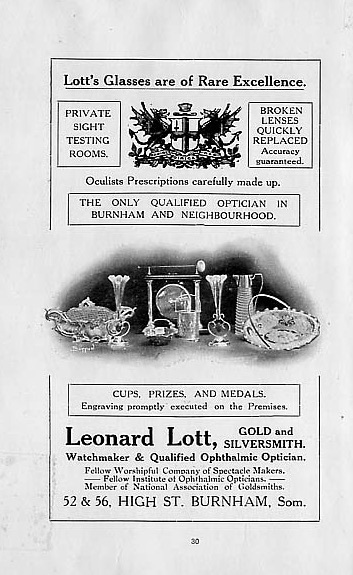 Advertisements from Burnham on Sea Holiday Guide, date unknown. 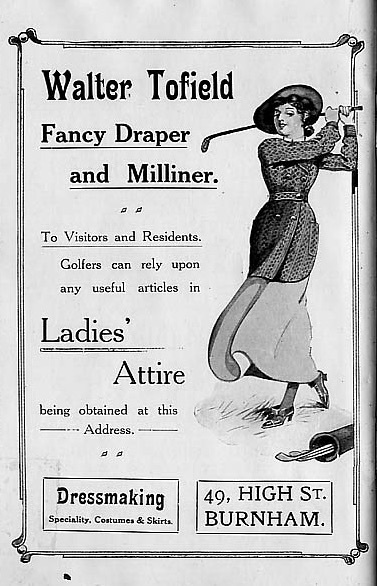 Advertisements from Burnham on Golf Handbook, date unknown. 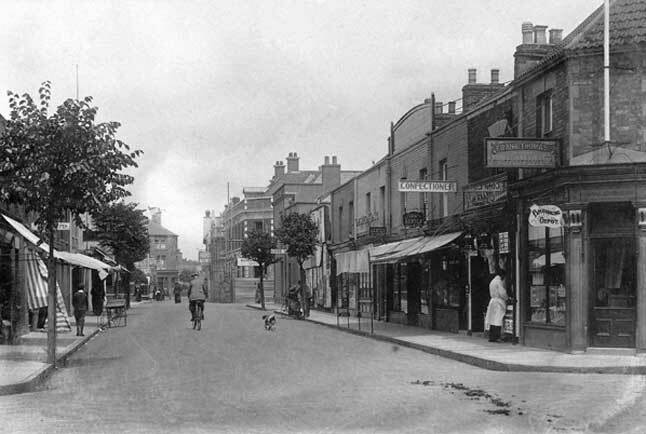 The picture above is attributed to 1915, taken from the Cross St. junction. This picture was taken at a later date looking from the Somerset & Dorset, the clothes & vehicle suggest the middle years of the 20th century.